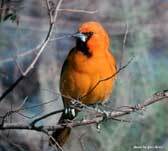 Texas offers some unparalleled bird watching opportunities and with 613 documented birds sighted, Texas exceeds all other states in opportunities to see a wide variety of birds. Bird watching in Texas varies from spotting Golden Eagles, Scaled Quails, or Greater Roadrunners in the Texas Panhandle to catching several bird varieties stopping for a break at South Padre Island before migrating further south. Birding is much more than a simple hobby and there are many benefits of birding that can be enjoyed by both novice and experienced birders. There are more than 50 million birders in the United States and millions more throughout the world, making it one of the most popular and most rapidly growing hobbies in the world. Because birding is easy for all ages to enjoy, it is a popular family activity that can lead to a lifelong hobby. So what are you waiting for, pick up the binoculars and go bird watching. Aransas National Wildlife Refuge is host to an exotic array of wildlife, including alligators, javelina (collared peccary), snakes, bobcats and whooping cranes. A 16-mile one-way driving tour takes visitors through the refuge's grassland, oak thicket, freshwater pond, and marshland habitats, providing excellent wildlife viewing opportunities. Additional activities include hiking, birding, picnicking, and fishing. Six hiking trails totaling 4.3 miles are available, please bring insect repellent as mosquitoes are usually abundant. Aransas has a reputation as one of the prime birding locales in Texas, and was originally named Aransas Migratory Waterfowl Refuge. Over 392 bird species have been cataloged in the area, including ducks, herons, egrets and other waterfowl. The refuge's most famous visitor is the endangered whooping crane, one of the rarest animal species in North America. Each year from late-October to mid-April, the only wild flock of whooping cranes in the world makes its long journey south from Canada to winter in the protected habitat of Aransas National Wildlife Refuge. As recently as the 1940's, only sixteen birds remained, but according to the 2003-2004 winter census at Aransas National Wildlife Refuge and surrounding areas the population rose to 194 cranes! Taking a commercial boat tour of the bays and Intercoastal Waterway, offered by operators such as Whooping Crane Boat Tours and Rockport Birding & Kayak Adventures, provides an excellent opportunity to view whooping cranes and other bird species. 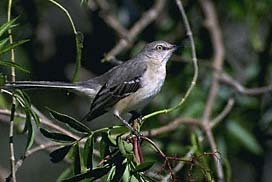 Throughout April and May, large numbers of migratory songbirds come to the Texas coast. Ducks and geese are present from August through March, and year-round birding opportunities exist for roseate spoonbills, ibises, herons, and egrets. 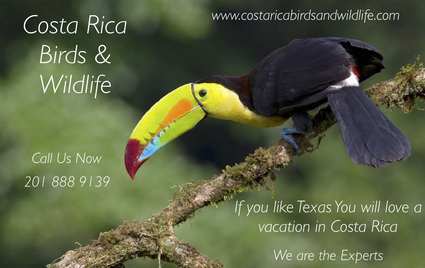 By boat or by van up to 60 species native to the area. We get up close for great photos. A raised boardwalk extends out into the cattails for a close-up encounter with Mother Nature. An observation tower halfway down the boardwalk permits a panoramic view of the pond and the surrounding flats. Learn about the interactions between the location, the plants, and the animals of South Padre Island that all intertwine. Choose from different tours provided by the Center on the most southern tip of Texas, along the shores of the Laguna Madre. Texas State Railroad's Rusk depot offers a unique campground where multiple sightings of Eastern Bluebirds, Barn Swallows and Red-winged Blackbirds, woodpeckers, chickadees, Tufted Titmouse, Pine Warbler, Carolina Wren, Eastern Phoebe and Painted Bunting have been boasted. Campers enjoy front-row observance of a train passing through their campsites, on select days of train operation. Campers have access to depot amenities which include lunch, gift shop and a train-themed movie theater on train departure days. Also available is a laundry facility and camping supply store. A quaint country chapel and furnished clubhouse are available with reservations. The variety of native species to be seen at the 230 acre property and the adjoining 5,500 acre Sate Park make the West 1077 Guest Ranch a prime destination for birdwatchers and nature lovers. Local birds such as Bewick's Wren, Summer Tanager, Ladder-backed Woodpecker, Vermilion and Scissor-tailed Flycatchers, painted Buntings, Black-capped Vireos, Golden-cheeked Warbler and nesting birds of prey are easily seen here and find the perfect amount of cover and foliage to make their home on the property. 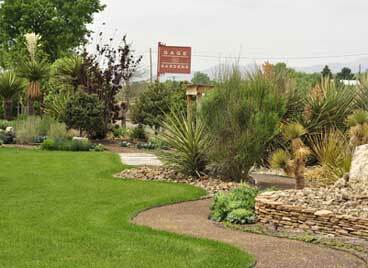 West 1077 Guest Ranch offers a self-guided trail system, which makes it easy to just get out and enjoy nature. Stay in your private cabin, enjoy meals in the lodge, relax in the swimming-pool and just soak up the peaceful surounding in unspoiled nature in the middle oft he beautiful Hill Country. 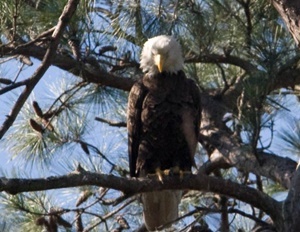 Little known to most bird watchers is a hidden gem birding trail at Barefoot Bay Marina & RV Resort. They have a nature trail that a well respected birder who is a professor at Texas Tech said was excellent - he claims that on a 30 minute hike he spotted 39 different species of birds! Barefoot Bay Marina & RV Resort has waterfront cabins, RV sites, and a lake house plus a clubhouse, sand volleyball, a boat ramp, and more. The Lodge offers one of the most spectacular views in the Texas Hill Country. 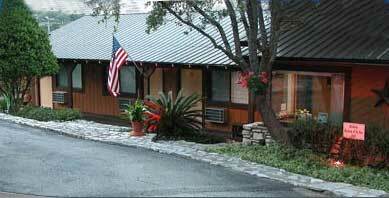 Your Wimberley lodging destination is nestled on 5-1/2 acres on top of a hill overlooking the Blanco River Valley. You and your family can spend time hiking, bird-watching, relaxing on the deck by the pool, or cooking on a grill in the picnic area. Twenty adobe-brick rooms surround a quiet courtyard with fountain where you will enjoy the sounds of birds and the smell of roses as you drink your morning coffee. Each room is uniquely arranged with historic artifacts that transport you to a simpler time. You won't be at loss for attractions as they range from Big Bend to Terlingua Ghost Town. These maps will navigate you in your discovery of the wildlife and enjoyment of the beautiful forests, lakes, and prairies of Texas. Best April and May for spring migrants and nesting activities; November to March for winter birds. Many options for trails in the Feather Lake Wildlife Sanctuary, Tornillo Lakes, Fort Hancock Reservoir, and McNary Reservoir. This is an archeological site, an archaic wetlands and a botanical garden. The 52-acre park in El Paso’s Upper Valley is a City-owned property leased to a volunteer Board of Directors who are charged with preserving and developing the Park. They specialize in pure nature recordings, without voice overs or background music with selections from birding hot spots around the United States.